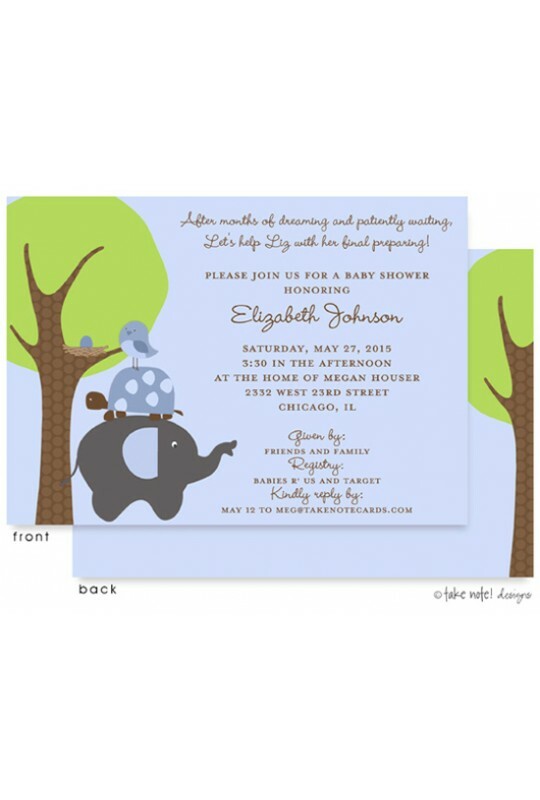 If you love animals and are waiting for a little boy you will love this unique and beautiful Baby Shower Invitation that will WOW your friends and family. 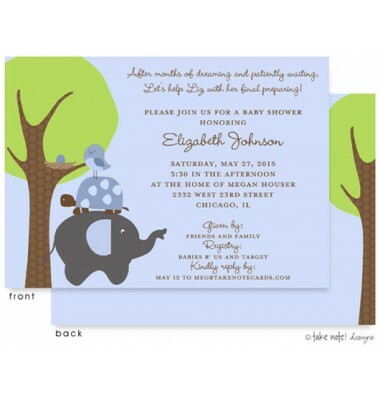 The wording and fonts are 100% customizable, so that you will be sure to create the perfect invitation. Coordinating thank you notes, address labels, and favor labels are available. Cards come with white, square back envelopes.